﻿﻿WE'RE HERE FOR #BLACKJOY. ALWAYS. ALL WAYS. 🗽🗽🗽NYC + BK babes! We are pulling up on you. 🗽🗽🗽NYC + BKLYN babes! We are pulling up on you. Spring presents the opportunity for shedding, growing + creating space for everything new. Join the Party Noire Collective for our first 2018 kiki in Brooklyn on Sunday, April 22nd from 9pm to 2am. Blending our CHI homebase with our East coast fam, our decks will be blessed by the baddest womyn DJs from Chicago to NYC. Sounds brought to you by our own DJ Rae Chardonnay, forever dancing + never ashy bae WIFE of WRATH aka Petty Crocker. We’re reuniting with our NYC love + Rae’s DJ bestie Twelve45 + welcome brand new bae, Fxwrk. A family reunion, post-conference kiki with our friends at Women of Color in Solidarity, a space for new family + friends, same mission + new affirming space/venue. Meet us at Mood Ring in where we’ll be here for Black Joy + center Black womyn, femmes + folk. Mood Ring is equipped with gender neutral restrooms + is wheelchair accessible (ramp off the JMZ @ Myrtle Broadway). Share all of your #BlackJoy with us! 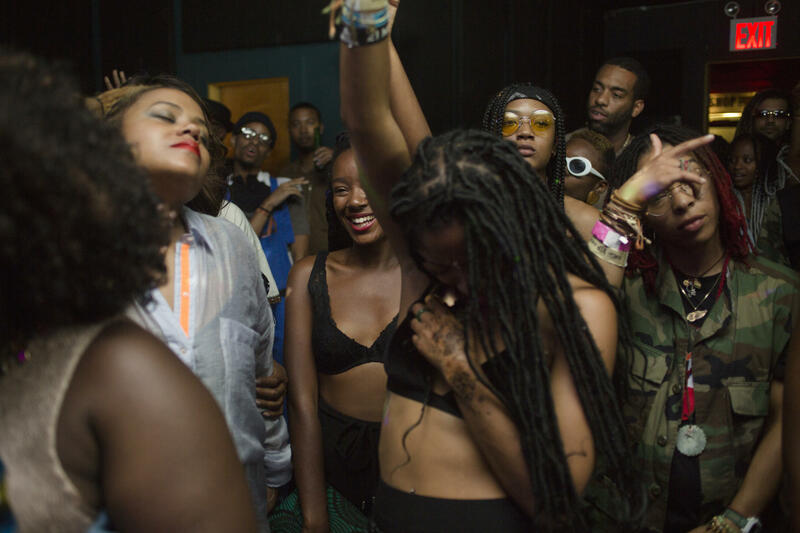 The ‪#‎PartyNoire‬ community is very intentional space for uplifting and affirming the lives of Black women. This space of ‪#‎BlackJoy‬ celebrates Black womanhood along the gender spectrum and holds space especially for queer, trans and gender non-conforming Black people. When in this intersectional space, our space, love, uplift and make space for ALL Black Joy. This ticket is for Solidarity Beyond Borders Conference attendees. Please have your conference info available upon entrance.